The University's connections with Denmark through its alumni have been traced back to the eighteenth century. Among our earliest Danish connections was Sir William Gordon (1726-1798), who in 1765 was appointed Envoy Extraordinary to the Court of Denmark. 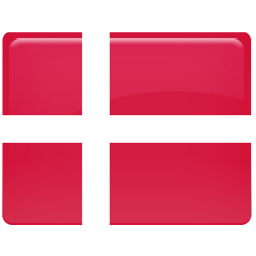 Danish students started studying at the University in the late nineteenth century. 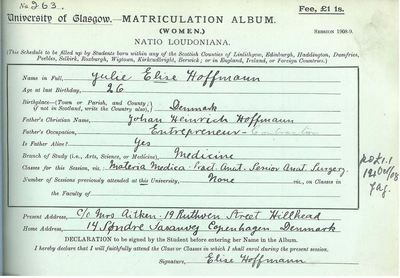 It is estimated that between 1885 and 1965 around 44 Danish students came to study at the University of Glasgow. 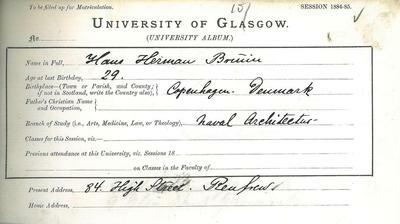 The first student was Hans Hermann Bruin, from Copenhagen, who set the precedent of Danish male students coming to take courses in naval architecture at the University. On account of Denmark's industry and geography, which is centered around the naval profession, it is not surprising that the majority of students came to Glasgow at that time to undertake further study in engineering and naval architecture, subjects for which the city was renowned. 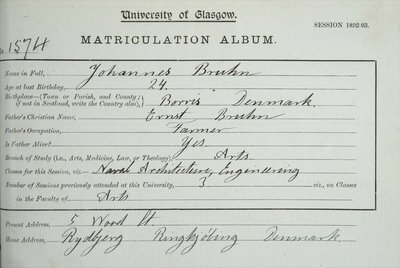 The first Danish graduate from the University of Glasgow was Johannes Bruhn, who after graduating in 1893 with a BSc in Naval Architecture, went on to be a Shipbuilder, and the Managing Director of the Det Norske Veritas. 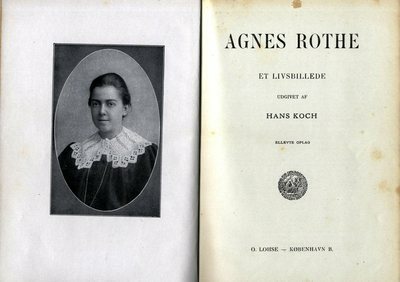 The first female Danish students were Christine Larsen from Avlskovgård, Odense; Julie Elise Hoffmann from Copenhagen, and Agnes Rothe, who all came to study medicine in 1908. 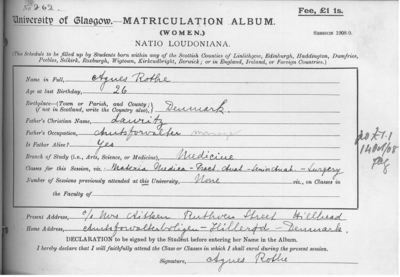 They would be the only female students in 37 years of Danish-Glaswegian exchange. 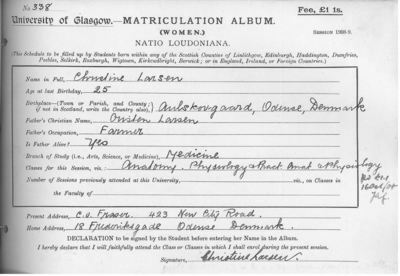 The earliest Honorary Degree awarded by the University of Glasgow to a Dane was in 1896 when the Danish physicist Christian Christiansen (1843-1917) was awarded Doctor of Laws on the recommendation of Lord Kelvin. 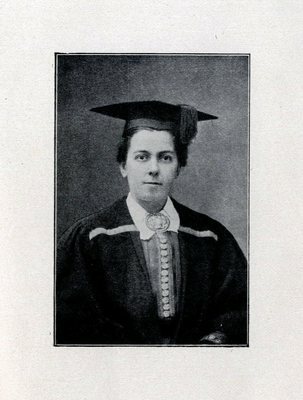 Christiansen had been appointed Chair for Physics at the University of Copenhagen in 1886. Another Danish physicist also received the award of Doctor of Laws in 1951, Niels Henrik David Bohr (1885-1962). Physicist, philosopher and footballer, who made foundational contributions to understanding atomic structure and quantum mechanics, for which he received the Nobel Prize in Physics in 1922. * This is the earliest graduate associated with Denmark that we have found. There may have been others we haven't found yet, or who studied at the University but didn't graduate.